Description: I want my house to flourish, so I subscribed to Violas Lille Have. Every month Viola arrives on a delivery bike with a box full of plants! She puts a smile on my face every time she shows up with a fresh supply of plants. I have some wilting plants to dispose of. 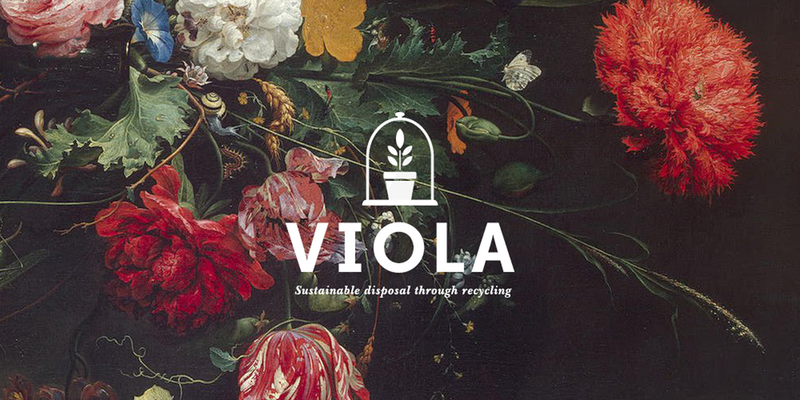 Viola takes them back to the greenhouse, where they are recycled or composted. New plants are grown from the revitalized soil. Happy plants and happy people everywhere! Violas Lille Have will present positive outcomes for green houses, garden centers, and customers. Garden centers will have the opportunity to build a new customer base and increase the chance of retaining those customers; attain more control of the potted plant market and gain an upper hand over the grocery stores; and achieve an increased emotional value through the feeling of acting as the local gardener and supplying life to the customers’ windowsill. Role: In this school project I proposed to add value to the Danish horticultural industry by continuing the production line into a new sustainable cycle. This would attract and cultivate a new target group and expand on the current consumers who buy potted plants through an easy-to-use subscription service, Violas Lille Have. Through Violas Lille Have, I would be able to target those 25 years and older who have a sense of being socially and ecologically responsible. As key values to this demographic, the sustainability and lifestyle are associated with ‘going green’ will help cultivate our initial target group in Denmark’s three largest cities: Copenhagen, Aarhus, and Odense.